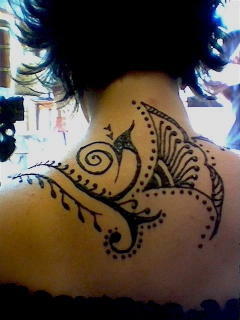 For this tattoo, the client chose an Arabic style design. She wanted the tattoo on her back, and while a small shoulder piece would have been a good choice.. I think the larger design is far more striking.